ROBT. NOBLE LTD. has specialized in residential and commercial wastewater disposal since 1967. The company was started by Robert Noble himself whom was a well-respected, trusted and very knowledgeable man in this field of work. Unfortunately, in the fall of 1994 Bob lost his long and valiant battle with cancer. In June 2000 the company was sold to Wayne and David McEnery. 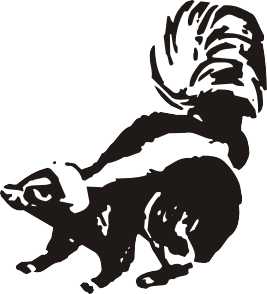 The company now takes great pride by being a family owned and operated business continuing to provide Robt. Noble Ltd.’s customers with the same prompt, courteous reliable service that they have been accustomed to. In May of 2012 through hard work and dedication to the septic industry we have expanded the pumping and repair business to include the complete installation of new septic systems. 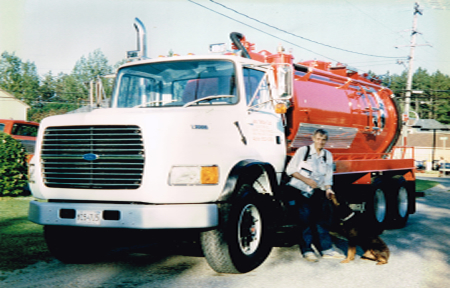 Our fleet consists of 2 vacuum trucks, 1 dump truck, excavating equipment as well as specialized equipment for flushing of plugged or frozen sewer lines and septic beds, electronic tank locating and camera inspection services. 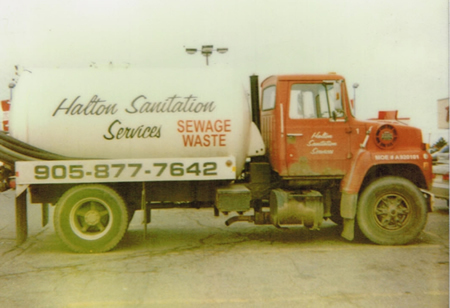 In February of 2014 we continued to expand our business through the acquisition of Halton Sanitation Services. This business was established by Ron and Ellen McGowan in 1964. Ron has decided to retire from a very long and successful career in the septic industry. We are proud to continue to provide the same 100% client satisfaction.